Los Angeles: India’s official entry for the Best Foreign Language Film at the Oscars 2018, Newton, is out of the race for the honour. The Academy of Motion Picture Arts and Sciences on Thursday (14 December) announced that nine features will advance to the next round of voting in the Foreign Language Film category for the 90th Academy Awards, according to the official website of the Oscars. 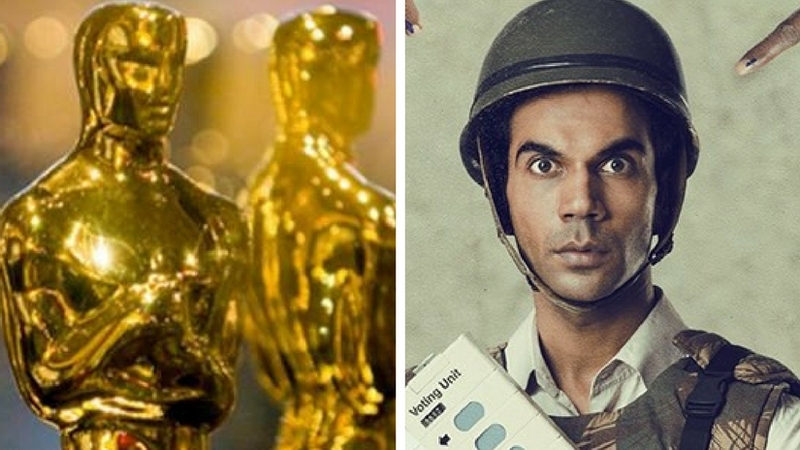 Newton, directed by Amit V Masurkar and starring the stellar Rajkummar Rao in a story set against the backdrop of elections in the world’s largest democracy, was not a part of it. A Fantastic Woman (Chile), In the Fade (Germany), On Body and Soula (Hungary), Foxtrot (Israel), The Insult (Lebanon), Loveless (Russia), Felicite (Senegal), The Wound (South Africa) and The Square (Sweden) have made the cut to the shortlist. Nominations for all categories of the 90th Academy Awards will be announced on 23 January. The Oscars ceremony will be held on 4 March at the Dolby Theatre in Los Angeles. So far, Mother India, Salaam Bombay! and Lagaan: Once Upon a Time in India are the only Indian films that made it to the top five in the Best Foreign Language Film category at the Academy Awards, but none have won the honour.